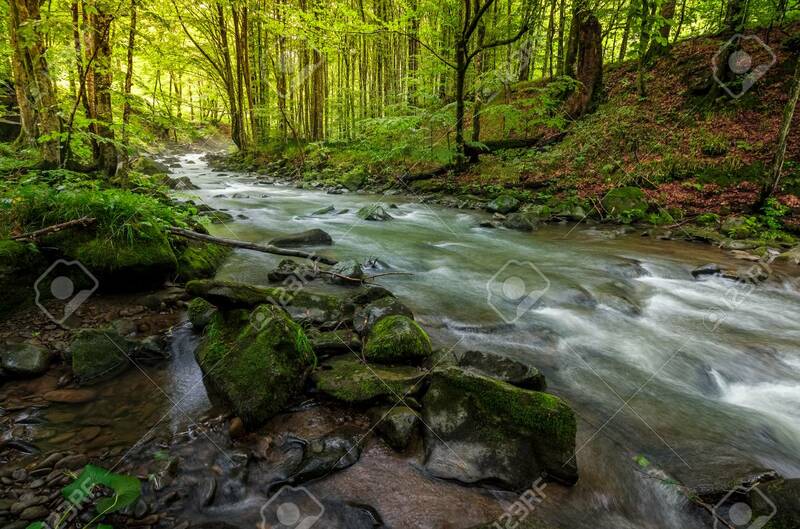 River Flow In Sunny Forest At Sunrise. Stones Covered With Moss.. Stock Photo, Picture And Royalty Free Image. Image 82687577.